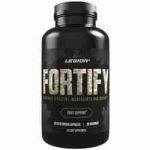 Legion Fortify Review – Is This Product Safe To Use? 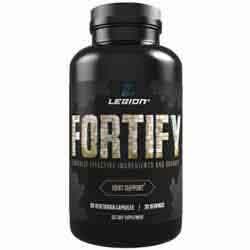 Legion Fortify is categorized as a joint care supplement given its wide range of ingredients used. The producers claim that Legion Fortify is made to offer support and promote a healthy joint development. The formulas is made to offer natural support and protect your joints against inflammation and the pain that comes with inflammation. This product has been recommended to people who suffer from conditions such as rheumatoid arthritis and similar conditions. Besides having a positive effect on the joints, Legion Fortify is touted to promote overall body health. Legion Fortify is designed to be an effective joint care product that is known to reduce joint inflammation and prevent cartilage and tissue degradation which is the case in weak ailing joints. The product is sold in 60 caps and retails for around $29.95 on the official website. This price is subject to change depending on the shipping and handling costs. According to evidence found on the bottle and the information given on the official website, this product is made and marketed by a company known as Legion. This is not a new name in the supplement business since it has been producing several different supplements and vitamins. What are the Ingredients used in Legion Fortify? UC Undenatured type II collagen – collagen is perhaps the most abundant and most required ingredient if strong bones and joints are desired. Recent study suggests that this type of collagen can fight joint inflammation from the root cause of it. Curcumin and piperine – this is used for its anti-inflammation properties. Inflammation is notorious for destroying tissue and damaging the cartilage. Piperine has been used in joint care for centuries now. Grape Seed Extract – Grape seed extract is known to protect the joints from the damage associated with a crippled immune system. Grape seed are also believed to help boost blood circulation, promote eye health and reduce varicose veins. How does Legion Fortify work? Legion Fortify has a very simple working formula. Given its goals of creating a strong immune system and promoting healthy joints, the product is equipped with the right ingredients. Top on its to-do list is to eradicate joint inflammation. Inflammation is the most notorious cause of joint pain in the human body. Legion Fortify has the ability to nature the inbuilt mechanisms and rejuvenate them to ensure that the body is able to protect itself all over again. It is made from all natural ingredients that are known to be safe and effective. This means that the product can be consumed regularly without the fear of harmful side effects or addiction. Promotes cartilage and tissue repair. It has not been tested on pregnant women and thus its safety on pregnant women is not guaranteed. The official website give ambiguous dosage information. Are there any Side Effects associated with Legion Fortify? There are no side effects that are associated with Legion Fortify. Users of this product have not reported any harmful side effects. In case you experience side effects, you should consult your caregivers immediately. This product has not been tested on pregnant women. Pregnant women should consult their caregivers prior to taking this product. Legion Fortify is not a scam. It is safe and has been labelled effective by a section of consumers. all the same, it should be used only for the intended purposes. In case of side effects, you should discontinue use immediately. Legion Fortify is a decent product on paper with some good reviews. All the same, it would have been better had the producers used fortification with minerals and vitamins. We have reviewed better products that are equally cheap.